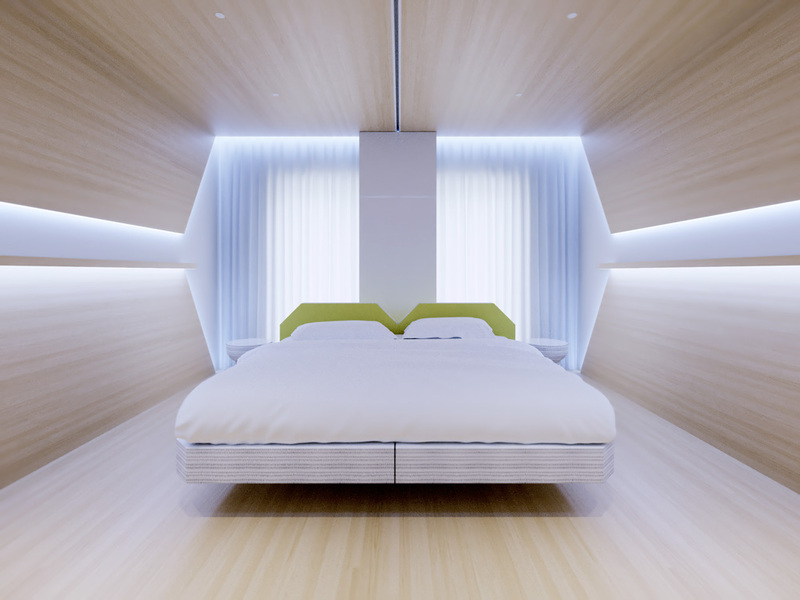 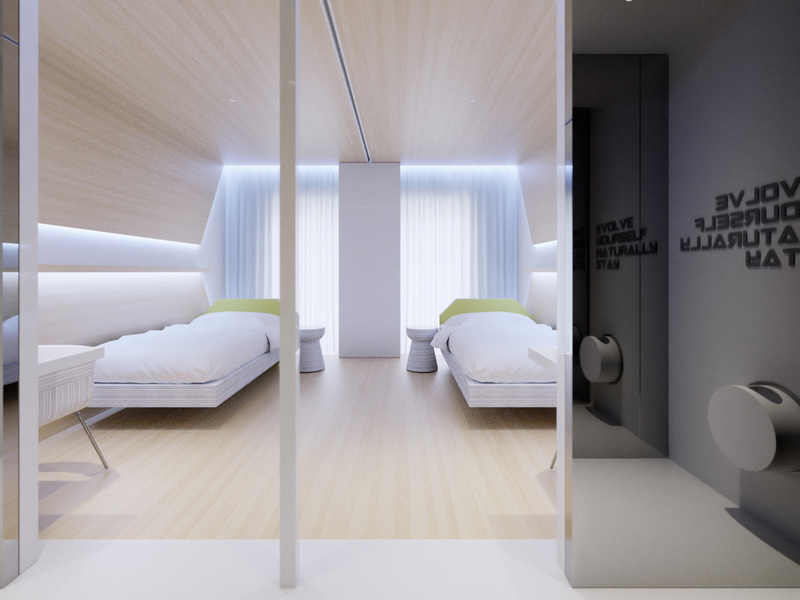 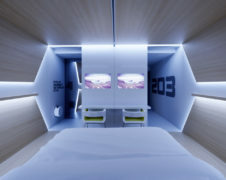 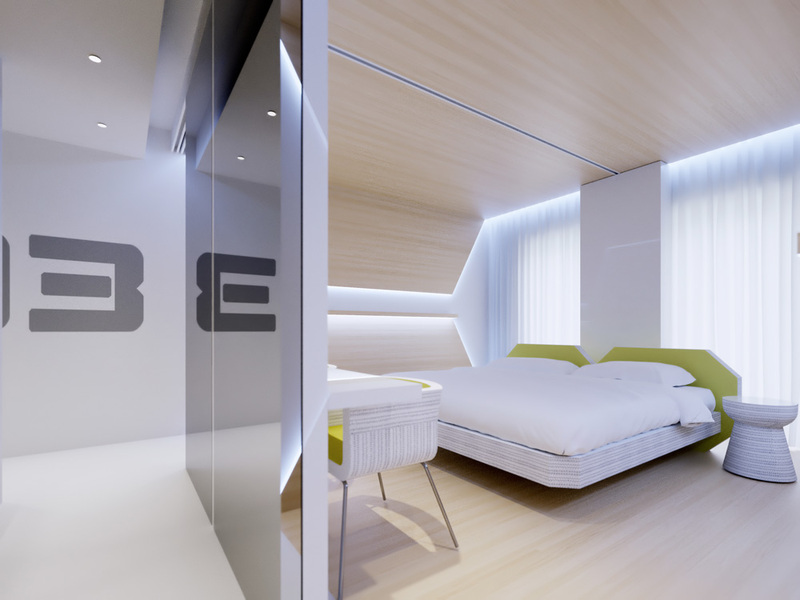 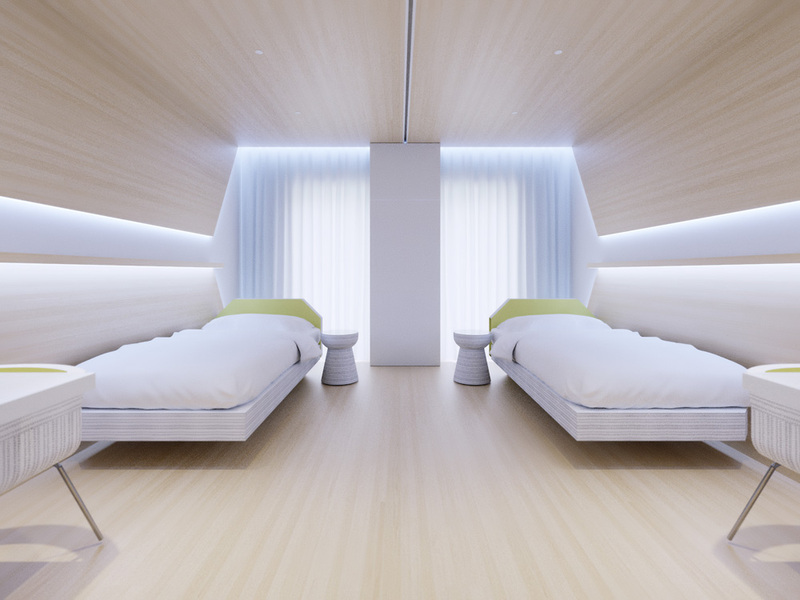 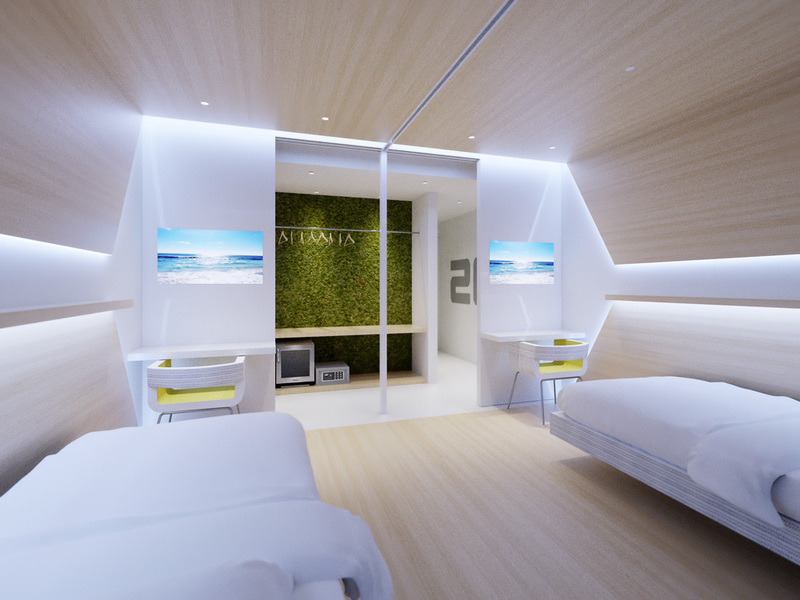 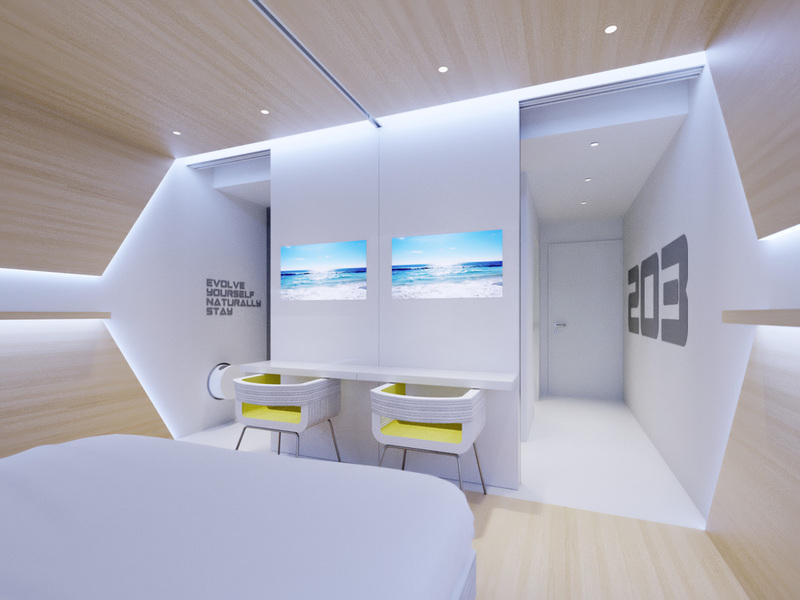 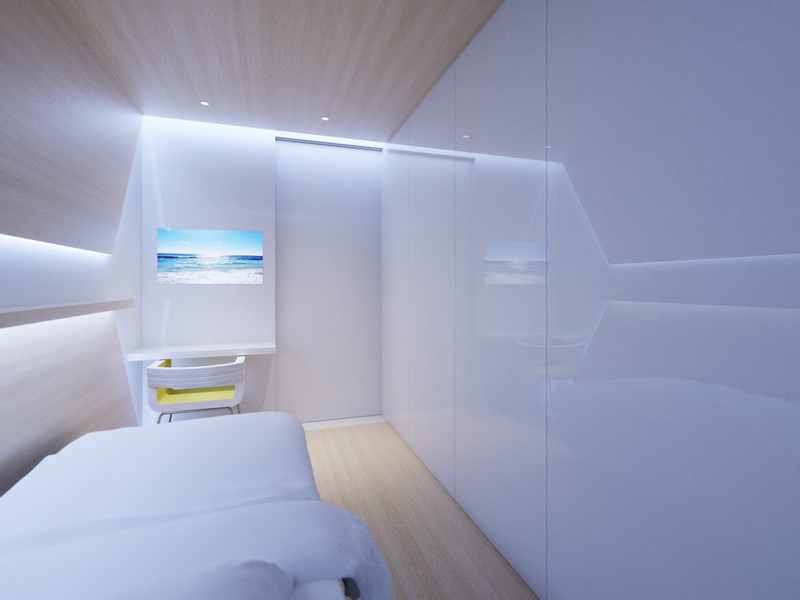 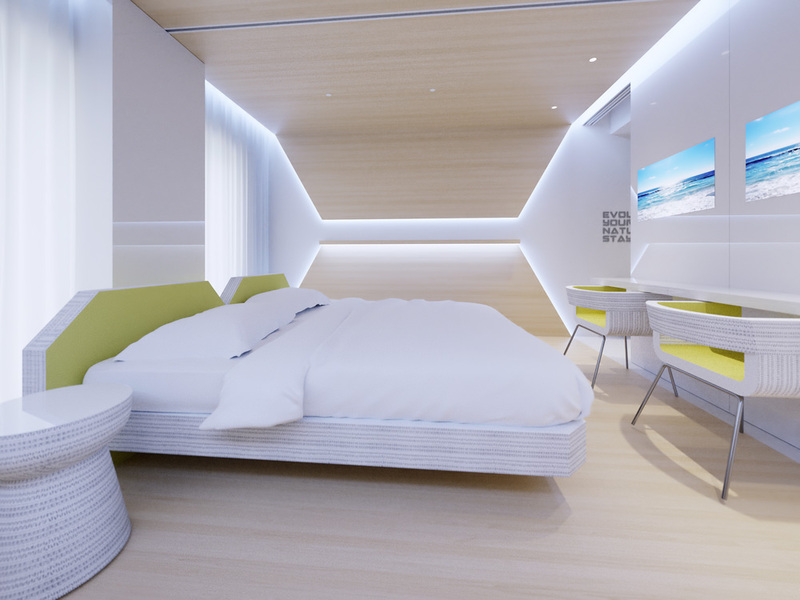 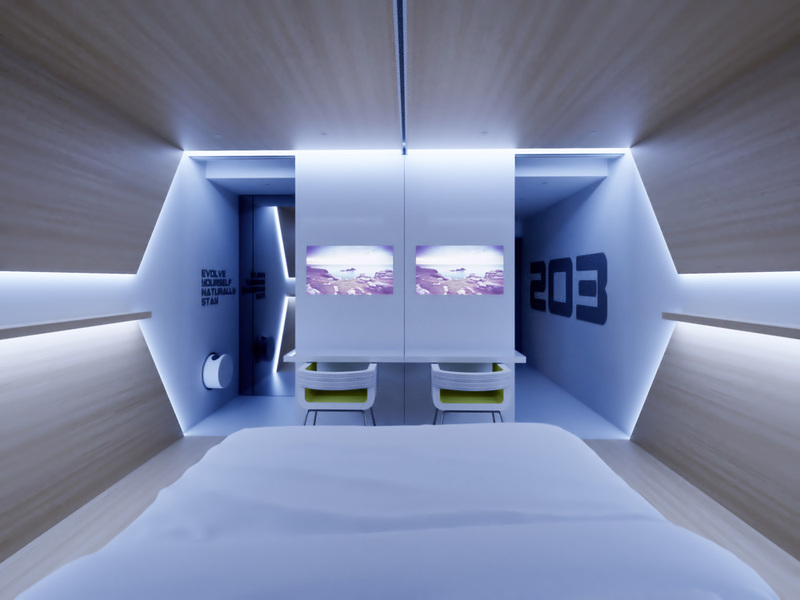 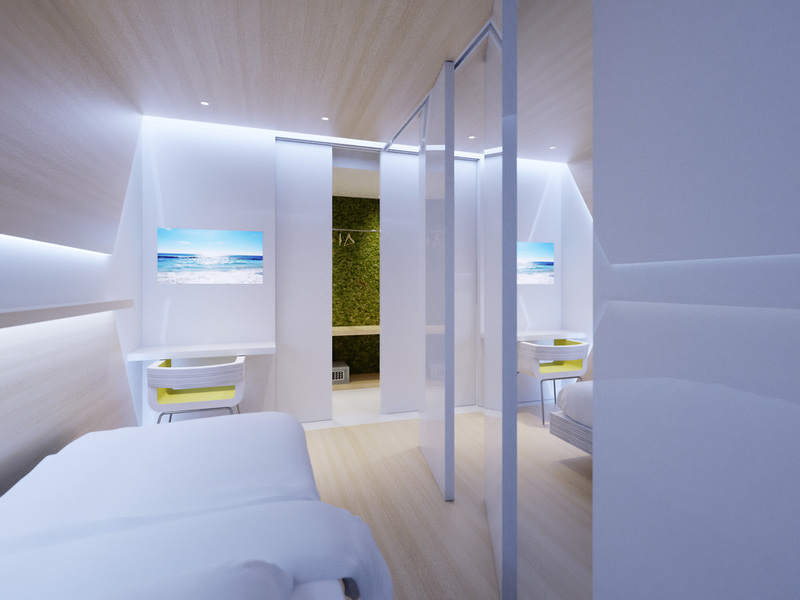 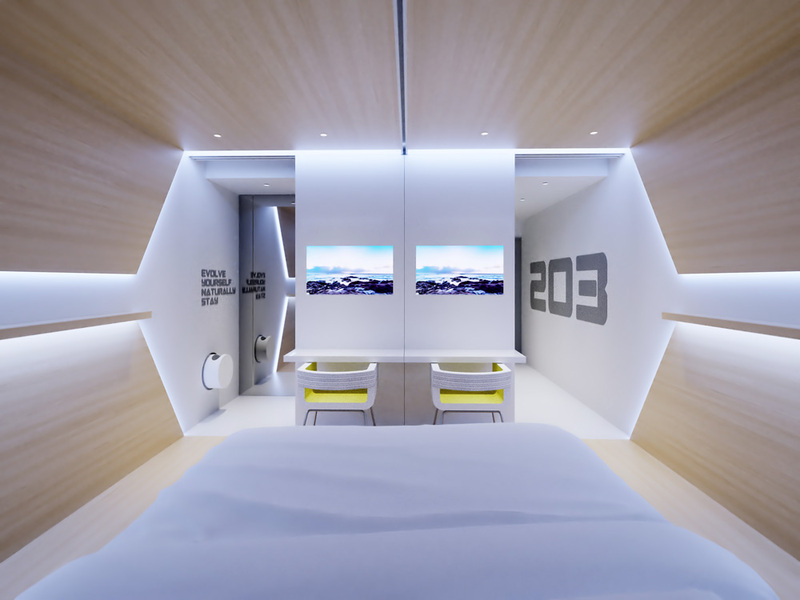 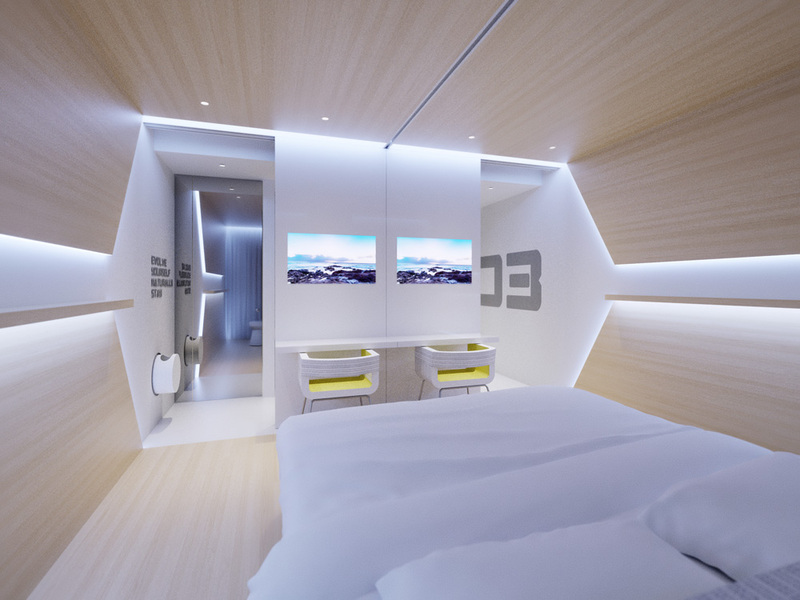 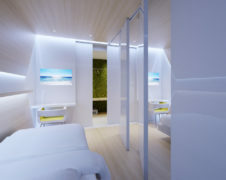 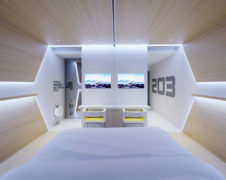 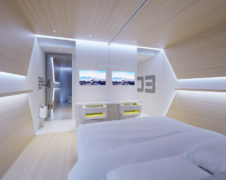 Concept of “Sharing room” for Evolve, a futuristic and eco-sustainable hotel for millennials where technology meets biocompatible materials and cardboard furnishings. 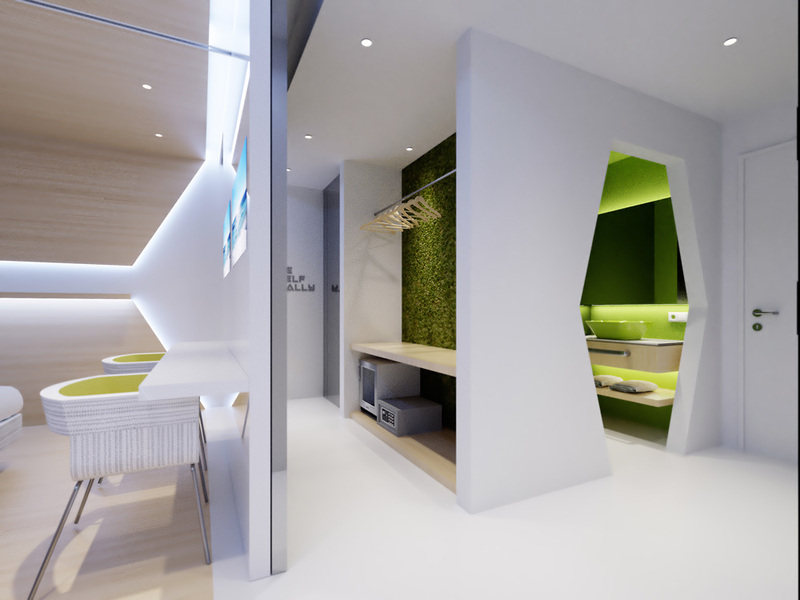 In the era of sharing, sharing room probably wants to be an evolution of the hostel concept. The double room, thanks to a system of movable walls, can be divided into two completely separate rooms, in full respect of the privacy of the guests who occupy it. 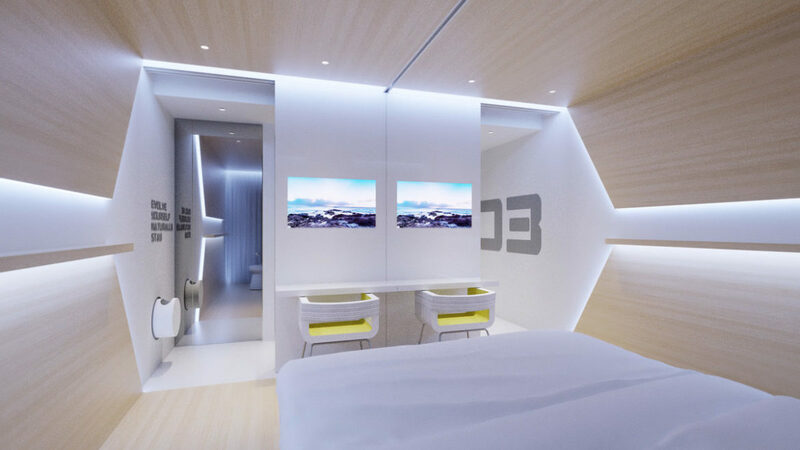 Young travelers who, to reduce the costs of their stay, will have decided to share the room with another user, identified for common interests or affinity thanks to an on-line hotel software, will find two single rooms available. 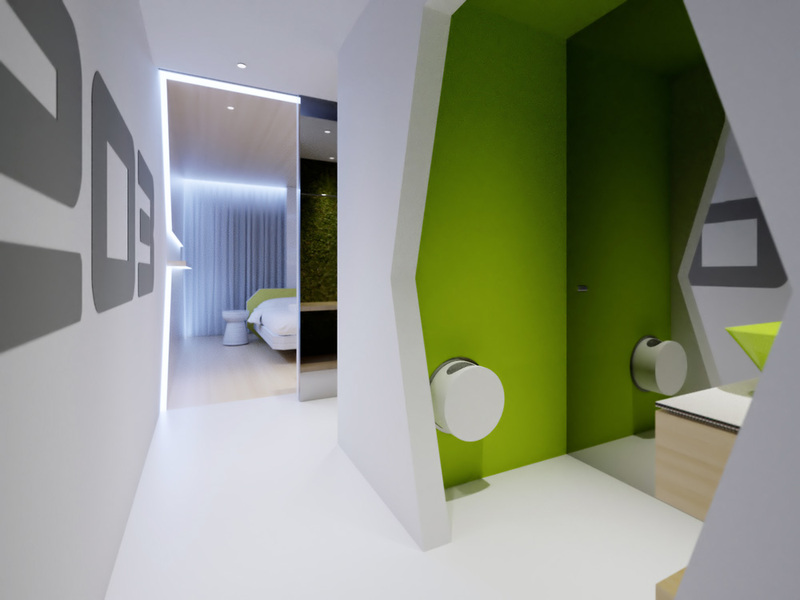 In common they will have only the entrance and the bathroom, but the vanity, the toilet and the shower will still be separate and usable independently. 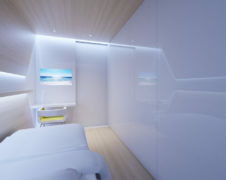 In standard conditions the room will be a common double with the particularity of having two TV integrated into the movable walls that, with the help of earphones, will allow guests to view different contents.